AstraZeneca and Cephalon have both reached settlements with the US Department of Justice (DOJ), totaling $54 million. AstraZeneca has agreed to pay the United States and participating states a total of $46.5 million with interest. Cephalon, which is now owned by Teva, has agreed to pay the United States and participating states a total of $7.5 million. The companies were accused of deliberately underreporting Average Manufacturer Prices (AMPs) to public health programs. The cases were brought by a whistleblower, Ronald J. Streck, under the qui tam provisions of the False Claims Act. This settlement resolves allegations that the pharmaceutical companies underreported AMPs for a number of their drugs by improperly reducing the reported AMPs for service fees they paid to wholesalers. 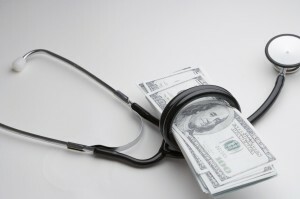 The government accused the companies of underpaying quarterly rebates owed to the states that caused the United States to be overcharged for its payments to the states for the Medicaid program. As the Medicaid Drug Rebate Program details, drug manufacturers are required to pay quarterly rebates to state Medicaid programs in exchange for Medicaid’s coverage of the manufacturer’s drugs. The rebates are based on AMPs that the manufacturers report to the government. The higher the AMP, the greater the rebate the manufacturer must pay to state Medicaid programs for the drug. The Medicaid Drug Rebate Program relies on drug manufacturers to report accurate pricing information used in the rebate calculations. The pharmaceutical companies were able to inaccurately report the AMPs by paying a service fee to the wholesalers disguised as price reductions. By choosing to underreport their pricing to public health programs, AstraZeneca and Cephalon committed fraud against the federal and state governments. Electing to underreport their pricing was an intentional move made by the companies to increase their profits. The companies were able to avoid providing deeper discounts to Medicaid by pretending that the costs of their products were less than they actually were. This resulted in the government being over-charged. Ronald Streck, who works as a physician and attorney and once headed an industry trade group for pharmaceutical wholesalers, Healthcare Distribution Management Association, brought the suit against the pharmaceutical companies. Streck first became aware of the alleged fraud while working in the pharmaceutical industry in the mid-2000’s. He filed suit in 2008. The suit filed by Streck was the first of its kind, as this type of fraudulent scheme had never been revealed in a prior lawsuit. He initially accused 30 pharmaceutical companies of fraudulently reporting the wrong prices to the federal government in order to lower the rebates they have to pay to the Medicaid Drug Rebate Program. Those companies were later narrowed down to just four, AstraZeneca, Cephalon, Biogen and Genzyme Corporation. The government declined to intervene in the lawsuits filed, so the whistleblower was left to litigate on behalf of the government. Biogen has already settled its case for $1.5 million, while Genzyme, a subsidiary of the French company Sanofi S.A., is now the only pharmaceutical company still involved in the suit. AstraZeneca and Cephalon chose to settle the case, resolving the allegations against them. AstraZeneca, an Anglo-Swedish company, will pay $26.7 million to the United States and the remainder of the $46.5 million will go to states participating in the settlement. The company did not admit to any wrongdoing or fault in the settlement statement. Cephalon, which is based in Frazier, Pennsylvania, will pay $4.3 million to the United States, while the remainder of the $7.5 million will go to participating states. This settlement resolves allegations against the companies that they knowingly underpaid rebates owed under the Medicaid Drug Rebate Program. It is still unclear what percentage of the settlement the whistleblower will receive. These two settlements demonstrate the government’s continued effort to combat health care fraud. The Attorney General and Secretary of Health and Human Services have partnered to focus their efforts on reducing and preventing Medicaid and Medicare fraud. The Department of Justice will continue to ensure that state Medicaid programs receive the full amounts of rebates by manufacturers and that they are not under-paid. It is critical for pharmaceutical manufacturers to comply with the requirements of federal programs, such as the Medicaid Drug Rebate Program, in order to ensure that the government and taxpayers are treated fairly in the reimbursement process.